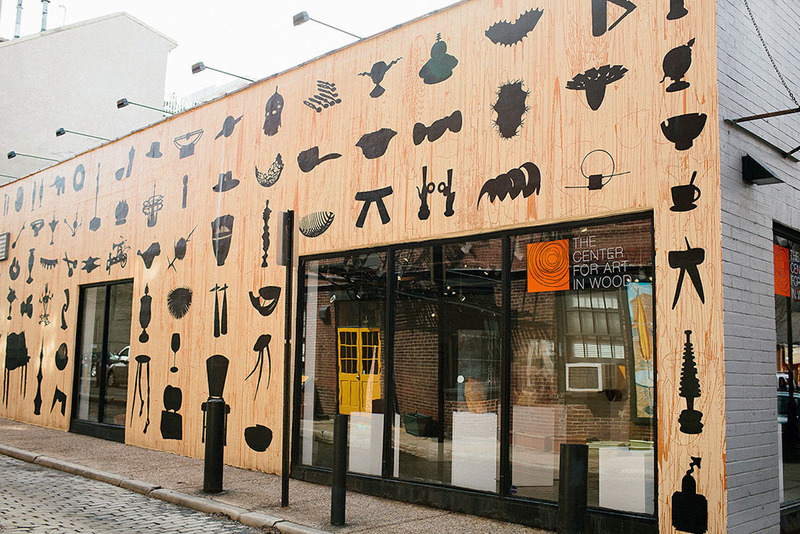 Since its inception in 1986, The Center for Art in Wood, formerly the Wood Turning Center, has been widely recognized by artists, collectors, scholars and the public as one of the most valuable resources for the education, preservation and promotion of the field of art made from wood. The Center for Art in Wood grew out of a series of symposia and exhibitions held between 1976 and 1986. The organizers of these events were the LeCoff brothers, Albert and Alan, and Palmer Sharpless, a woodworker and teacher at the George School, who are credited with helping to spur the “field” of wood turning. Today, The Center for Art in Wood in Philadelphia stands as an invaluable resource for study by scholars, educators, artists, students, museums, collectors, and the general public of finely crafted and conceived wood objects. The Museum Collection– with over 1,000 objects, the collection serves as a living record of the Center’s work in the field of art in wood and its support of the finest artists working in the field. Exhibitions– a PDF of all exhbitions, year-to-date, held at or organized by the Center. Click here for a link to our online exhibition galleries. The John Grass Wood Turning Company– For over 150 years this company produced turned wood objects for everyday use, including ballustrades, night sticks, plates, bowls, bowling pins, tool handles, and their most popular item: flag poles. Closed in 2003, the Center has worked throughout the years to save this historic landmark and its equipment. The Windgate ITE International Resident Fellows– Now in its second decade, the residency program has helped develop over 100 artists working in the wood and other media, as well as dozens of scholars and photojournalists who capture the experience and create work of their own. This annotated list highlights resident fellows from 1995 to the present. Education Programs- a PDF list of many of the Center’s archived programs designed to educate the public on wood turning and art in wood.